As we’ve progressed towards making mobile devices capable of so much more than just what they were originally intended to do, the gaming industry has caught up as well. More than just what you’d expect of popular gaming studios like EA Games and Blizzard, Android devices today are capable of replicating the engaging gameplay and mindboggling graphics that users enjoy on consoles and computers. Fortnite by Epic Games has been among the most wildly popular titles in the gaming world recently, combining the battleground gameplay of PUBG, while keeping the adventurous elements of strategy from Minecraft alive. Now that Fortnite is already out and about for the iOS devices, Android users simply cannot wait to get into the gaming spirit and enjoy Fortnite on Android. After running a short and sweet beta release cycle for Fornite on iOS, Epic Games was quick to release the public version on the iOS App Store. And after months of waiting, the beta version has finally arrived on Android. 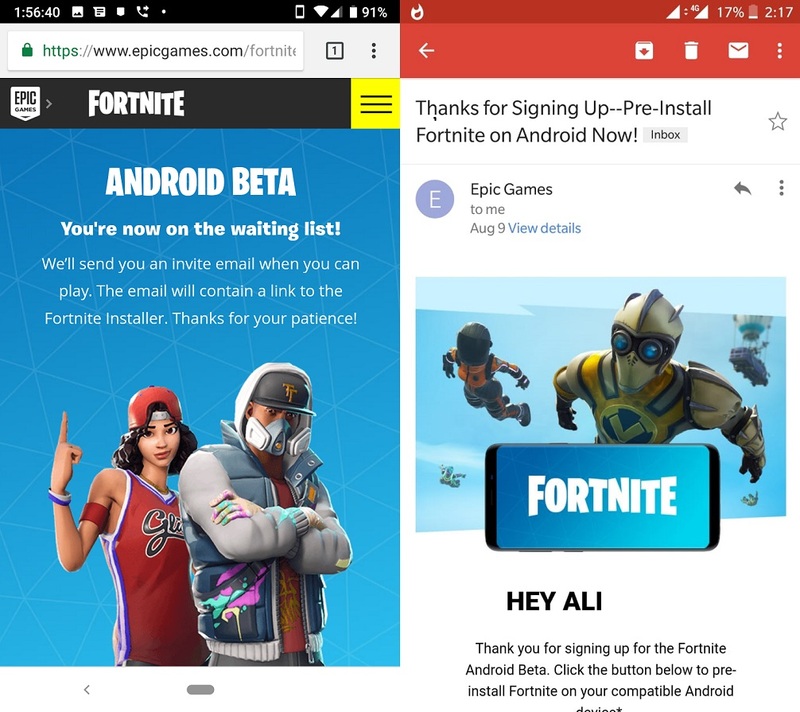 Note that Epic Games has only opened the registration for the beta release of the game on Android and while we still don’t know when exactly the stable version will be available, the wait for the beta version is over. Fortnite for Android is now available on multiple Android devices. Galaxy Note 9 is the exclusive launch device, preorders will come with free 15000 V-Bucks. List of Android devices that will be supported already out. Considering that Fortnite is wildly popular right now and has been for months, it wouldn’t be outlandish to consider that Epic Games would plan a special release. According to 9to5Google, Fortnite on Android will be exclusively released with the upcoming Samsung Galaxy Note 9 at the public release date of August 24. 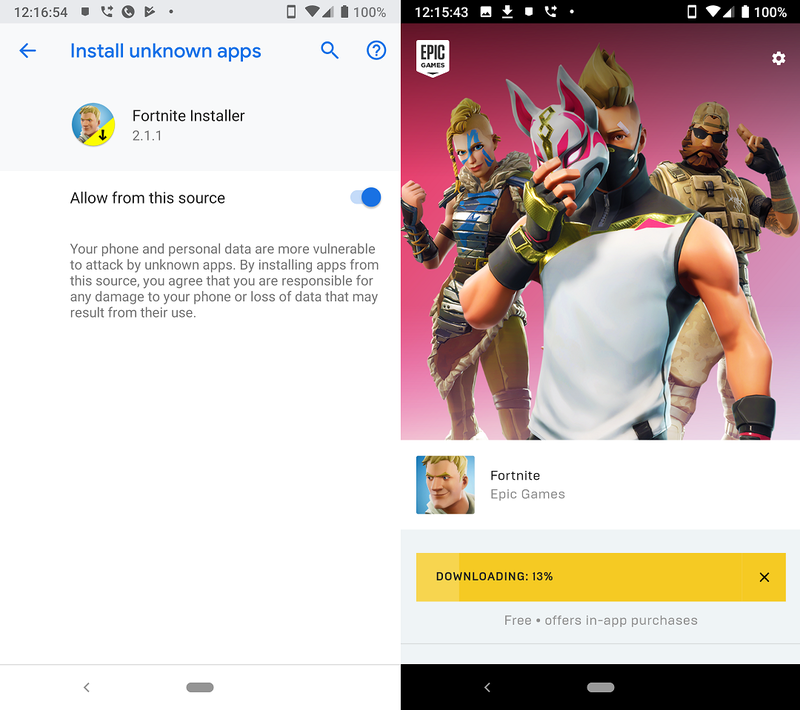 To further confirm this rumor, a teardown of the APK file that has been leaked of the Fortnite Mobile for Android game shows an interesting detail. Essentially, it includes a decompiled line of code that suggests that the APK is only supported for a device with a Bluetooth-enabled S Pen, ergo being the Galaxy Note 9. Along with the exclusive release that is limited to the 2018 phablet from Samsung, users are also expected to receive free V-Bucks for in-app purchases. Additionally, it has been confirmed from the latest APK teardown that there is a ‘Samsung Preorder 15000 V-Bucks Promo‘ that will be a part of the initial release. If you’re wondering, 15000 V-Bucks adds up to around $150, so consider it as a cashback if you will. The public released of Fortnite on Android is expected to be 30 days after its exclusive release with the Galaxy Note 9, so you can expect the game to be out and about for all on Android to try by late September. 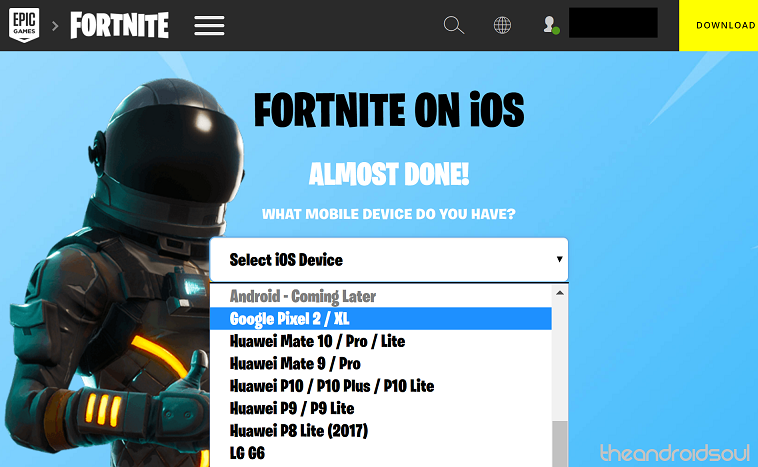 Remember, this list includes only the name of Android devices that are currently listed on the official Fortnite Mobile page. The list is only for general information and not directly indicative of which Android devices will be able to run Fortnite Mobile. Based on the supposedly supported Android devices that Epic Games has mentioned on the official Fortnite website, you can expect the minimum specifications to run Fortnite Mobile with a quad-core CPU and 3GB of RAM. Anything around Qualcomm Snapdragon 430 and MediaTek MT6737 CPU along with Adreno 505 or Mali-T720 GPU should be able to power up Fortnite Mobile. Fortnite for Android will not be available in the Play Store. Expected to launch exclusively on the Galaxy Apps Store. 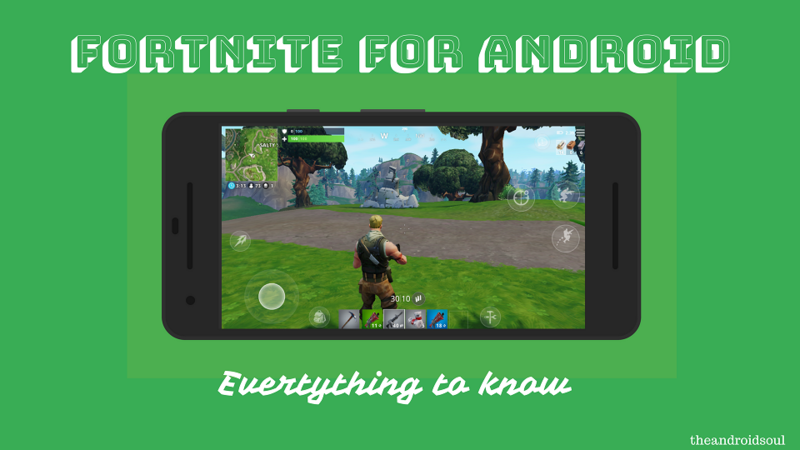 While some of us are content knowing that Fortnite Mobile is on its way to the Android market soon enough, folks over at XDA are taking it one step further. After digging through the source code of the Epic Games website, a secret was uncovered that the studio is yet to completely address. Based on the information available, it seems that the download section with instruct users to fetch the Fortnite download file and install it. The banner even suggests that users need to enable some security permissions in order to install “any app outside of the Play Store”. This is most likely an attempt by Epic Games to skip past the 30% commission that Google keeps for all in-app purchases. Actually, this has been confirmed by Tim Sweeney, the CEO of Epic Games that has created Fortnite Battle Royale. In an interview to The Verge, Sweeney explained that the 30% cut that Google keeps for services like handling payment transactions and offering customer support not just as it is ‘disproportionate to the cost of the services these stores perform‘. Further guaranteeing this narrative from the Epic Games chief, is the latest teardown of the Fortnite for Android APK teardown conducted by XDA. It seems that Fornite Battle Royale will not only launch out of the Google Play Store but be first made available on Samsung’s Galaxy Apps Store. Now that Fortnite Mobile is in the beta testing phase and already out for dozens of Android devices, it is time for you to get your hands on it as well. All you need to do is sign up for Fortnite Mobile beta, get the Fortnite Installer APK file and get going. Head over to the Epic Games Fortnite Battle Royale Mobile website using this link. Join the waiting list to play Fortnite on Android beta. Wait until you receive the download link on your registered email address to download the Fortnite Installer APK file. 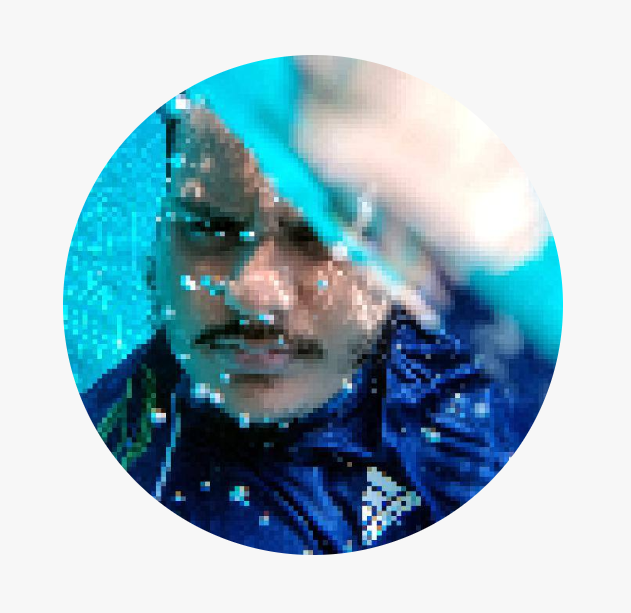 Tap on the Fortnite Installer APK file and grant it access to be installed as an Unknown app on the system. Once you have the Fortnite Installed ready, open it and hit the Download button. 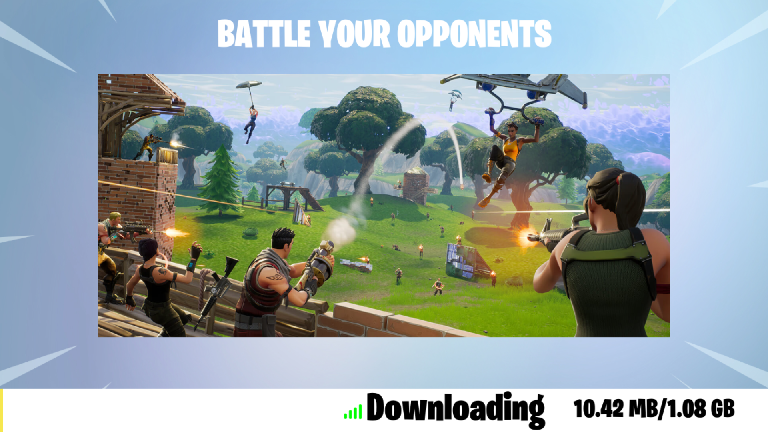 Now the entire Fortnite Mobile game will begin downloading, so make sure you’re connected to a Wi-Fi network. After the entire ordeal is over, open the Fortnite app and log in using your Epic Games account. Based on your device and manufacturer, it may take a while before you get the invite link to officially try out the Fortnite Mobile beta for Android, so do keep that in mind. Are you excited to take your social gaming to the next level with the imminent release of Fortnite for Android? Are you concerned about the fact that Epic Games may not put it up on the Google Play Store to save itself those extra bucks?